You know that feeling when you set off on a road trip, cup of coffee in hand, perfect tunes playing, and nothing but open road ahead? That’s the feeling I get when I watch a bridge open for Sunshine. Open bridges signify I’m heading off on another adventure. Sometimes though, I’m the one sitting in traffic when the bridge opens for a boat. I’m anxious to get to an appointment, but I’m forced to stop and take this moment to look around. It’s good to look out and see a pretty little sailboat heading out to sea and be inspired by that person’s adventure, to plan another one of my own. 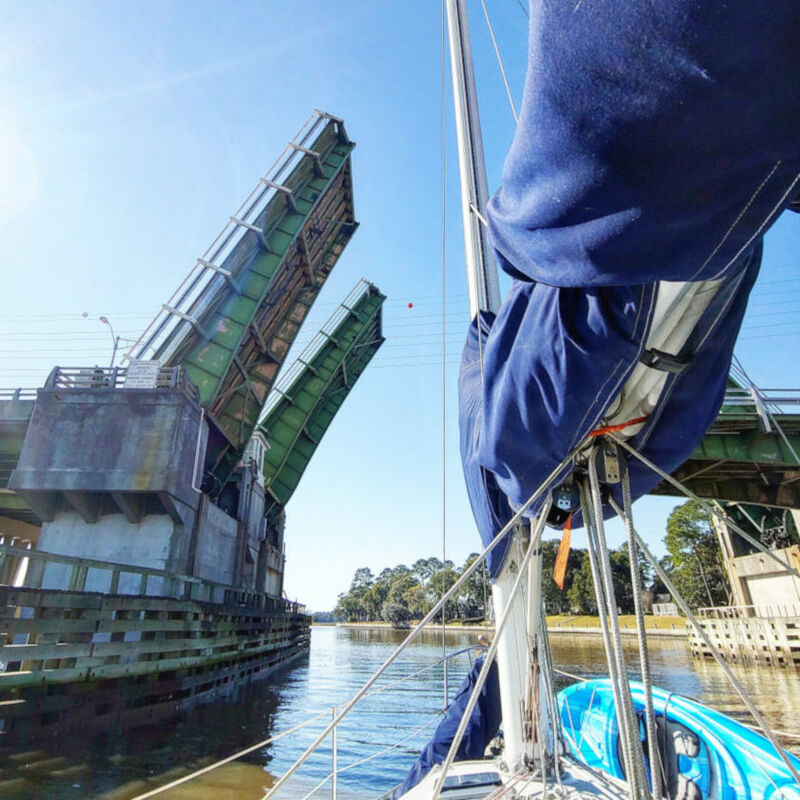 Open bridges are also a great reminder of other modes of transportation, other places to go, other adventures. We get sucked into cars, highways, and our customary routes to and from customary destinations. But when a bridge opens and stops us for a moment, here’s this other kind of traffic, passing right in front of us. It’s going another direction. It’s almost another dimension.